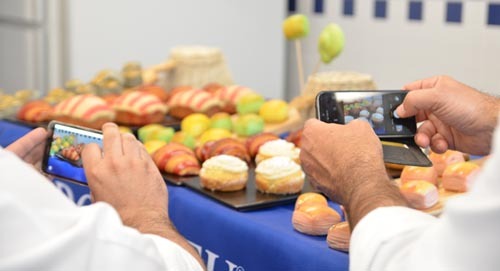 Le Cordon Bleu Paris institute alumna, Juliette Ju, finished her Grand Diplôme in 2003 and went on to work in Michelin-starred establishments. 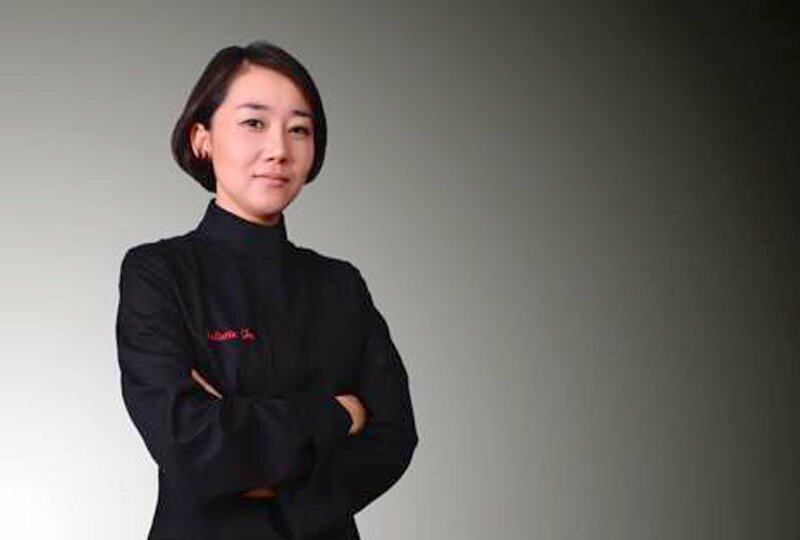 One day, when she was working as “chef de partie” at Ze Kitchen Galerie restaurant in Paris, the Chef there, William Ledeuil, asked if she would like to work with him on his book La cuisine de William Ledeuil. 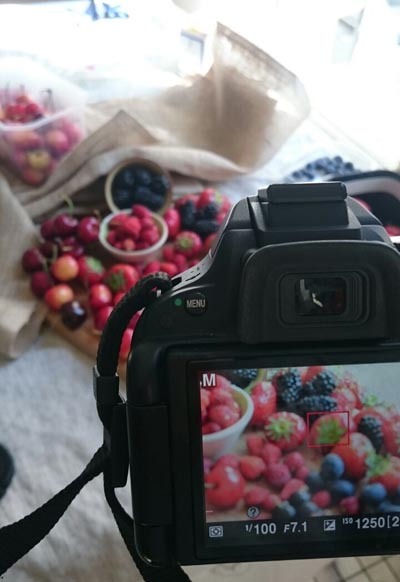 This is how Juliette Ju took her first steps in the world of food styling. We asked her a few questions about the profession. Could you tell us what being a food stylist entails? A food stylist’s job is to show a dish in its best light, to take it to the realm of the sublime. We work on plating and decoration to make the dish shine. This job is very visually focused, as the consumer’s interest must be aroused. I work with the client’s artistic director who briefs me throughout the filming, or photo shoot, and who oversees the project when it actually takes place. On the day of the shoot, I work with photographers on different campaigns. Some food stylists are also photographers. Before the shoot, I am often asked to make the recipe, do the shopping, select all the decoration and choose a decorative theme. I need to get hold of all the material and submit my ideas to the client. Therefore, a photo shoot/filming involves an enormous amount of background work. A great deal of patience and precision to detail is necessary in this profession. In general, 3 to 4 photos can be produced in one day for a brand’s advertising campaign. For the press, 7 to 8 photos can be created because a lot of them are simply background shots. A food stylist must also be extremely creative and artistic (choice of decoration, how the dish is arranged). Why did you decide you wanted to become a food stylist? It is simple really, I love things which look pretty and are presented in a precise manner. I always wanted to do a job which combined artistry and culinary skills. I therefore looked into being a food stylist before working with Chef William Ledeuil. To cut a long story short, I was “chef de partie” at Ze Kitchen Galerie and had decided to leave the world of cuisine. It was at that point that William Ledeuil asked me to work with him on his book and I became assistant food stylist. I set up my own business when I started to have a large customer base. What is your background? Did you study cuisine? Fashion design? I studied cuisine and, notably, Le Grand Diplôme at Le Cordon Bleu Paris institute. I then worked in Michelin-starred restaurants including Le Bristol, Joël Robuchon, Park Hyatt Paris-Vendôme and finally Ze Kitchen Galerie. A small piece of advice, it is important to put together a portfolio of your creations so that you can show your style to any potential customers. Is there a shoot that left a lasting impression on you? A shoot which really left a lasting impression on me was for a project with Nespresso®. I spent 10 h working on a crème brûlée to achieve a 3 colour layered effect and poured 300 coffees to create the perfect mousse. It was a project for an advertising billboard. The shoot lasted 1 week and we hired a set. On average, projects last between 3 and 5 days. For every project, I need a whole day to prepare, to gather all the material and establish the way it will look in my mind’s eye. Do recognized training programmes exist to be able to take up this profession? No, I don’t think there are any training programmes available today to be able to become a food stylist. Some hospitality schools teach a few styling lessons as an introduction to the profession but these do not constitute a sound grounding. I would advise anybody who wants to become a food stylist to carry out cuisine training as I have seen firsthand that almost 70% of food stylists have no culinary training. It is essential to have basic food knowledge in this specialized job. What kind of client do you work for? I work extensively with brands such as Tupperware®, Nespresso®, Harry’s®. I worked with Tupperware® for 4 years on cookbooks and advertisement styling. I also dabbled in the press with Elle Magazine and Modes et Travaux, for example. For brands, the main focus is showcasing the product (e.g. : Nespresso®). Magazines, on the other hand, place more emphasis on decoration, setting the scene (e.g. : Elle à table). Lastly, I have worked on One of the Best Craftsmen in France (Meilleur Ouvrier de France - MOF) books, numbers 1 and 2 in particular, as well as William Ledeuil’s book.